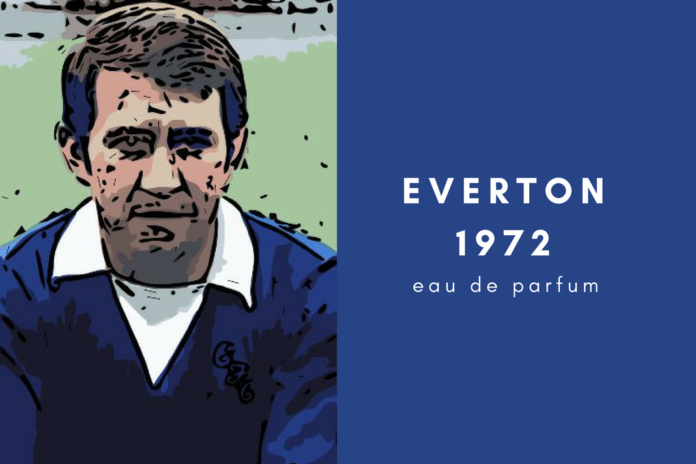 March 1972, Everton are away to Manchester United, the result was a scoreless draw – I can sense you’re already asking, what on earth is there to recall that’s worth putting pen to paper over? Well it was a tough time back then, as the miners were on strike against the Ted Heath led Tory government, the country was enduring power cuts, and heading inexorably and ultimately to three-day weeks and all sorts of other industrial strife. I was still at grammar school in Salford when, because of the power cuts, the football authorities decided United should host the Blues on a Wednesday afternoon to avoid the need for floodlights. Considering it was the middle of the working week, a more than respectable crowd of over 38,000 turned out to watch Frank O’Farrells United take on Harry Catterick and his boys in Royal Blue. As an aside, O’Farrell lived right across the road from one of the school entrances and he was a real gentleman, never refused anyone an autograph and such was the demand, he had to ask the school to limit the queuing up to one afternoon a week. He lined his United side up as follows: Alex Stepney, Tommy O’Neill, Tony Dunne, Martin Buchan, Steve James, David Sadler, Frank Burns, Alan Gowling, Brian Kidd, Denis Law and George Best, with Sammy McIlroy on the bench to eventually replace Gowling. The Catt selected his Everton side: Gordon West, Peter Scott, John McLaughlin, Howard Kendall, Roger Kenyon, Colin Harvey, Billy Kenny, Terry Darracott, Mike Lyons, Tommy Wright and Bernie Wright. Now being brutally honest, I don’t remember too much about the actual game, nil-nil draws of over 46 years ago tend not to linger too long in the memory. What I do recall vividly was a swathe of green, Salford Grammar Technical School uniform blazers, sprinkled around the Old Trafford terracing. Back then SGTS accommodated in the region of 1200 pupils, the overwhelming majority of whom were United fans and a rough guesstimate would suggest in the region of 400 had ‘wagged’ the afternoon off school to watch the match. The following morning’s school assembly is what sticks in the memory. After the prayers and the usual school notices, the Deputy Headmaster addressed the whole school, patently simmering as he desperately tried to keep a lid on his patent anger. At this point, the teaching staff, bar one, and about two-thirds of the pupils left the assembly hall. At a hint of sniggering from the remaining pupils, the Deputy Head turned to see the one teacher left on the stage behind him – Stan Hayton. Stan was a Spanish teacher who hailed from Kirkby and was himself a passionate Evertonian. The DH said, “Mr.Hayton, I will see you in my study privately after I’ve dealt with this lot”, casting a large thumb over his shoulder in the direction of the remaining pupils. Stan sloped off leaving the DH to then demand to know where everybody had been the previous afternoon. He went to the first boy and back came the response, “Sir, I was at the doctor’s”. He went to the second boy and back came the response, “Sir, I was at the dentist”. This carried on in metronomic, mind-numbing fashion and sitting four rows back, I lost interest and track of where I had allegedly been the previous day. When he came to me, I was flummoxed and spurted, “Sir, I was at the dent.. er the doct… oh sod it, sir, you know I’m an Everton fan, I was at the match”. My mates were stunned, but the DH refrained from exploding and instead commented, “For being the only one so far, to be honest and admit you were at the match, you can go to your first class”. As I beat a hasty exit, he proclaimed to the rest that they would all serve post-school detentions and have to write a thousand word essay on ‘Why watching Manchester United is not conducive to providing me with a suitable education’. The icing on the cake was Stan, the Spanish teaching Bluenose, getting off with just a finger-wagging on the grounds that as most of his class pupils had been at the match, his non-attendance was akin to overseeing a school outing. Happy Days, just wish we’d won.